No matter how old you are, buying snacks for a road trip is like an unsupervised 9-year-old was just given $100.00. Typical picks include candy and chips for your sweet and salty cravings and soda and Gatorade to quench your thirst. We might grab a gas station banana for a ‘healthy option’ or a water, but we all know we’re not going to eat that banana over a Snickers bar. When you’re trying to eat healthily and provide healthy snacks for your family, road trip snack hauls can be a weakness - but they don’t have to be. With a little planning and prep, eating healthily while driving to Grandma’s house can be just as easy as eating well at home! Read below for our best practice tips on healthy road trip snacks this summer. It’s easy to say, “I’m only going to drink water on this trip!” before you leave, but we all have experienced wanting something more once on the road. If you plan ahead of time, you can curb those cravings. Start with a pack of bottled water. Having your own personal water supply is perfect for quenching your thirst - especially if it’s the only thing on hand. Need something with a little flavor? Bring along a box of Tropical Fruit Drink pouches that you can easily pour into a water bottle and shake. Not only will it quell those sweet and sugary drink cravings, but they’re also small enough to throw in your bag and take anywhere. With multiple flavors to choose from, such as Peach Mango, Pineapple Orange, Grape, Kiwi Melon and more, no matter what mood you’re in, you’ll have a drink and flavor to match. The reason we stop for fast food is the craving for ‘real food’! But is fast food real food? It’s debatable. Instead, try packing snack bags of baby carrots or sugar snap peas for a delicious snack without the weight (or the grease). If you’re looking for something a little more substantial, make sandwiches ahead of time. We know; sandwiches don’t sound very exciting. The trick to making road trip sandwiches is thinking outside the box! Add something crunchy, such as cucumbers or fresh onions, or a handful of sunflower seed sprouts or arugula. You can also add something bright, such as tomatoes or julienne beets. 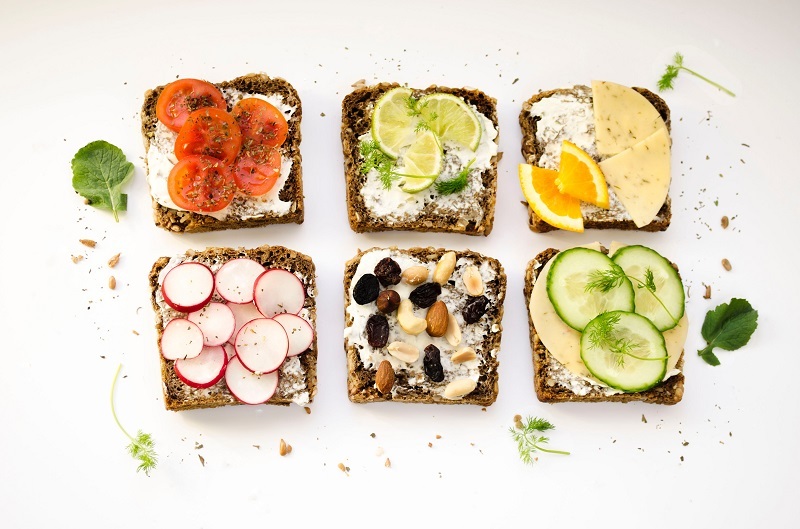 When you switch up the sandwich and snack game, ordinary meals don’t seem so boring after all. It’s inevitable – the cravings of sugary goodness and salty treats will probably hit you at some point whether you want them to or not. But if you plan for them, you can replace that bag of Peanut M&M’s with a serving of Peanut & Caramel Soy Snacks or a Peanut Butter Bar! Not only will these healthy alternatives quell your sugar craving, but at only 150 calories and a whopping 15g of protein per serving, you won’t have to feel guilty! Don’t like sweets? Push those salty cravings aside with protein-packed Pretzel Twists or BBQ Proti Thin Chips. These tasty snacks are full of good-for-you ingredients, so your guilt will fly out the window as you indulge. Gas stations and fast food drive-thrus seem to double when you’re on a road trip. Knowing that it’s okay to grab a not-so-healthy snack to supplement your healthy diet takes some of the pressure off. When you’ve already packed your own tasty snacks, drive-thrus aren’t as appetizing, and gas station nachos no longer look so appealing (although they should never look appealing; that’s just our hunger talking)! Road-trip-induced empty calorie and impulse cravings are a thing of the past when planned properly. 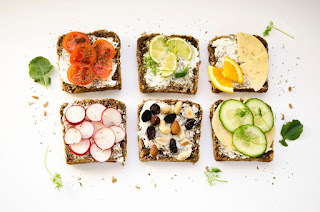 Packing snacks - both hearty and light - may seem like a time-consuming task when you’re busy organizing everything else, but it will really pay off in the end. When you plan a proper traveling menu, your healthy lifestyle doesn’t have to stay at home.